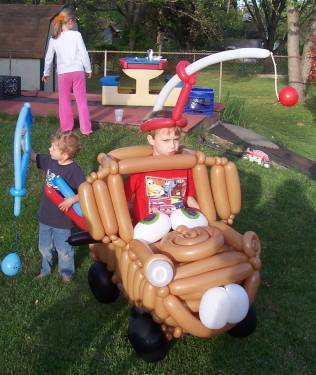 Description: This tow truck parody was an instant hit at this young man's birthday party. It was only about 4 feet long and probably 3 feet tall, but while trying to jam it into my car it felt like it was about 10 feet long. lol Even though it was smushed and squished, it didn't loose a single bubble.